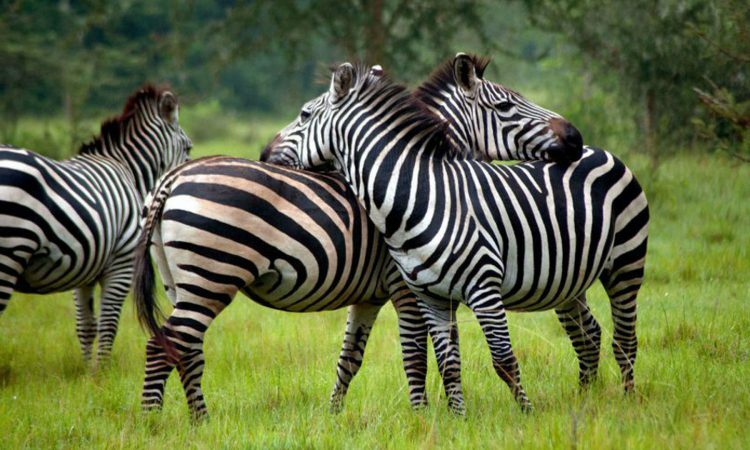 The 9 days safari in Uganda is the ultimate adventure that will give any tourist the full wildlife experience featuring visits to five of Uganda’s best sarari parks namley: Murchison Falls National Park, Bwindi forest, Semliki , Kibale forest & Queen Elizabeth National Park. Yiour Uganda safari adventure continues with a visit to Semliki park. After an early morning breakfast, our guide will pick you up from your hotel or lodge and drive you to Semuliki park. The park is humble setting though interesting for those that value birding trips. Semliki is not only a great home for the birds but also interesting to cover the wildlife and primate as well as the hot springs. Wakeup to an early morning breakfast and head of for game drive along the Kasenyi tracks. The tracks are best points to meet the elephants, buffaloes, bushbucks, warthogs, Uganda kob, mongoose, lions and on a lucky day you can spot the leopard. Enjoy an afternoon boat cruise along the Kazinga channel passed the areas with concentration of hippos, numerous birds and animals lingering on the lake shores. Wind your day with a luxurious treat at your lodge accompanied by diner and overnight stay. This is the last day of your trip; hopefully you had a lot fun and adventure. Get ready to drive back to Kampala after breakfast. A stop at Igongo cultural centre is worth a moment in Mbarara with a warm lunch, proceed to Kayabwe at the equator monument for photography, visit the craft shops and carry home some souvenirs.